Whether facing a surveillance audit from a certification body or preparing for an internal quality audit – knowing what you face and being prepared puts you a step ahead. 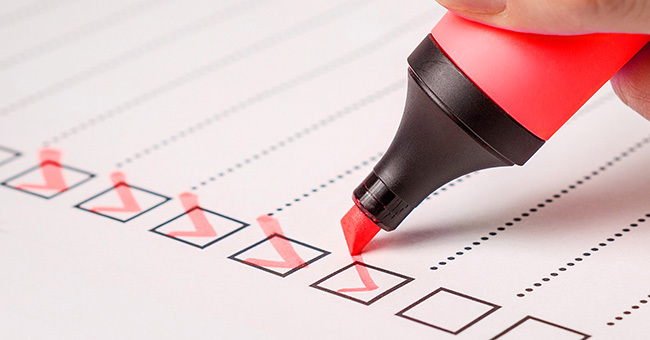 Review this checklist which covers the majority of the QMS requirements. Are competency criteria defined? What are these criteria? How is competency evaluated, approved and monitored, and by which method(s)? Are the resources adequate? Which are they? Who are the “customers” (internal and external) of the processes? What are the requirements of these customers? What records are kept and how these are maintained? How is external and internal information about the process provided? What are the outputs of the process? – Identify outputs. Is the issue of improvement of the processes properly addressed? How? What are the results? SimpleQuE offers free sample manufacturing process audit checklists for AS9100, ISO 9001 and IATF 16949 which can be used as an example to examine a company’s key manufacturing process and prepare your company for the highest internal quality auditing possible.